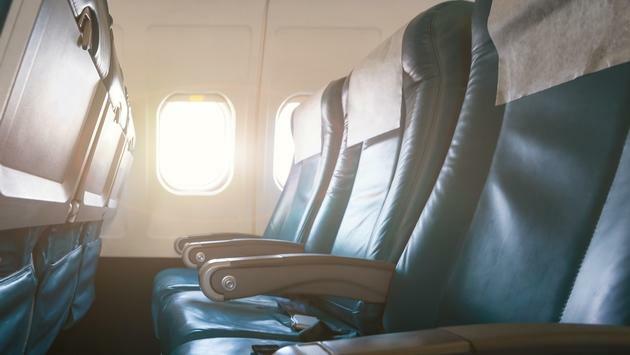 Make sure next time you board a plane to bring antibacterial wipes, as a new study found the dirtiest parts of an airplane’s cabin are the headrests and seat pockets. According to CBC.ca, investigators tested more than 100 samples taken from 18 different flights on three of the biggest airlines in Canada, including Air Canada, WestJet and Porter, and the findings were disgusting. The results revealed almost half of the areas tested by the team contained levels of bacteria, yeast or mold, while evidence of the E. coli bacteria was found on headrests and seat pockets. Scientists also revealed that bathroom handles, tray tables and seat belts are a breeding ground for the infection-causing contaminants. Unidentified flight attendants told CBC that personal trash like dirty diapers, used tampons, old sandwiches and loose condoms have all be discovered in the seatback pockets of planes, which would easily explain the presence of bacteria, yeast or mold. As for why attendants aren’t working harder to ensure the E. coli and other germs don’t make passengers sick, former WestJet employee Stephane Poirier told CBC that crew members don’t usually have time to clean the planes between flights.